A riveting history of America's most beautiful natural resources, The Quiet World documents the heroic fight waged by the U.S. federal government from 1879 to 1960 to save wild Alaska--Mount McKinley, the Tongass and Chugach national forests, Gates of the Arctic, Glacier Bay, Lake Clark, and the Coastal Plain of the Beaufort Sea, among other treasured landscapes--from the extraction industries. 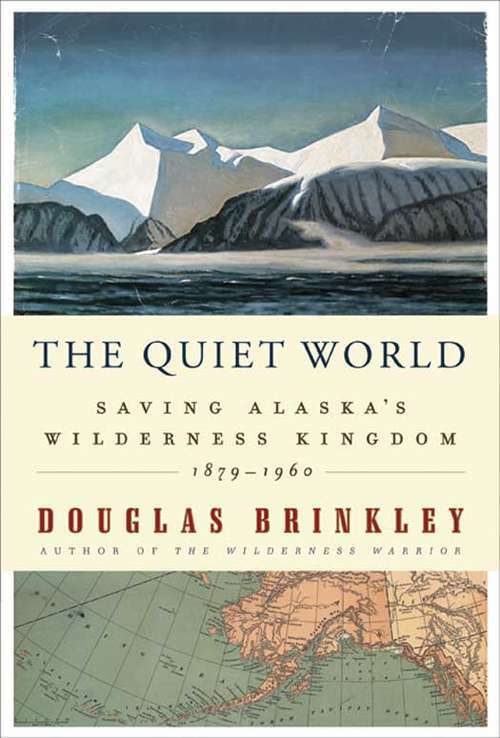 Award-winning historian Douglas Brinkley traces the wilderness movement in Alaska, from John Muir to Theodore Roosevelt to Aldo Leopold to Dwight D. Eisenhower, with narrative verve. Basing his research on extensive new archival material, Brinkley shows how a colorful band of determined environmentalists created the Arctic National Wildlife Refuge just before John F. Kennedy became president. Brinkley introduces a lively gallery of characters influential in preserving Alaska's wilderness resources: the indomitable U.S. Supreme Court justice William O. Douglas, who championed the Brooks Range; charming Ivy League explorer Charles Sheldon, who led the campaign to create Denali National Park; intrepid Bob Marshall, who cofounded The Wilderness Society; hermit illustrator Rockwell Kent, who lived in isolation on Fox Island like a modern Thoreau; nature photographer Ansel Adams, whose image Mount McKinley and Wonder Lake set off a tsunami of public interest in America's tallest peak; and U.S. Fish and Wildlife biologist Rachel Carson, who promoted proper ocean stewardship; among many more. Wildlife fervently comes to life in The Quiet World: Brinkley tells incredible stories about the sea otters in the Aleutians, moose in the Kenai Peninsula, and bird life across the Yukon Delta expanse while exploring the devastating effects that reckless overfishing, seal slaughter, and aerial wolf hunting have wrought on Alaska's once-abundant fauna. While taking into account Exxon Valdez-like oil spills, The Quiet World mainly celebrates how the U.S. government has preserved many of Alaska's great wonders for future generations to enjoy.